There’s an old saying that states every man should build a house in his lifetime. Clearly, the people who came up with this saying didn’t really know how difficult it can be to actually build a house from scratch. Everything starts with the idea, the design and blueprints. But being your own architect is, in fact, one of the most difficult things you will ever do. 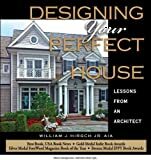 Because we are fully aware of that, here are a few tips to create architectural plans that may help you along the way. The absolute first thing you need to acknowledge upon deciding to build a house is that it needs a central idea. Think about what you want – should it be a big house or a small one? What home design do you actually desire – modern, classic, colonial, rustic, romantic, Victorian, eclectic, and the list could go on. Everything else that you do will stem from this, so make sure you decide first-hand. In addition to deciding on the style, size and other technicalities of the house, you also need to find its story. Or, better yet, your story. Since you are building it yourself from scratch, your house should be able to tell a lot about your life as well as the lives of everyone else living in it. That’s actually the beauty of constructing it yourself. Absolutely nothing is predefined or has belonged to someone else. As far as architectural house plans go, since you won’t be employing the services of an architect, you will need to find inspiration elsewhere. Luckily, the Internet is the best source of inspiration possible. After you have decided on a style, let’s say Victorian, google it. You will be amazed on how many results and ideas you’ll get on your first hit. You can also browse through various architectural magazines, which are packed with great examples. Here is a great tip: if you’re using online sources of inspiration, never just look at them and then close the site. Create a mood-board. There are plenty of websites out there that offer templates. 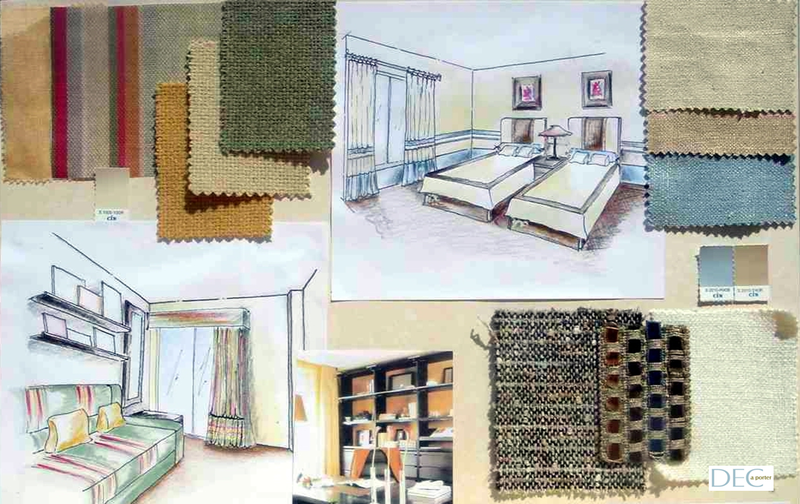 Save all the pictures, drawings, sketches and blueprints you like and pin them on an online mood-board. If you are doing your research the old-fashioned way, with magazines and college or university issued books, then cut out everything you like and make a scrap book. This might sound tedious at first. However, you will notice just how helpful a scrap book is when you’re in the middle of constructing your house and you don’t have to look everywhere for your clippings. You should know that every single state, county, city, and even village has its own rules and regulations when it comes to architecture home plans. For example, in California you have earthquake resistance regulations and in Florida you have impact resistance ones. All these rules on architectural plans might be difficult to comply with, especially when you’re doing all the planning and constructing yourself, but you have to remember they are there for safety reasons. Think about hurricanes, earthquakes or tsunamis and the disastrous effects they might have on a poorly built house. Apart from safety related regulations, there are also design regulations. For example, there are certain areas where all the houses need to look the same. So if, for example, you wanted to build yourself a completely modern house with glass and steel finishes, you might not be able to. If the area comprises only traditional or brick houses, make a mental note to ask down at the town hall what exactly you are allowed to build. This is the actual step of the process where you have to draw your architectural plan. You can either do it by hand, if you are talented in that respect and you know how or you can use architectural software. Xara Photo & Graphic Designer – it’s a very low-cost illustrator, extremely easy to use. It was specifically designed for instances just like these, when non-professionals want to design say, their dream home. DrawPlus- it’s a bit more on the artsy side and users have reported that, unfortunately, its interface is too complex. Autodesk SketchBook Pro – anything that comes from Autodesk is great as far as drawing and designing goes and the SketchBook Pro doesn’t disappoint. It comes with a unique tool on the market, the symmetry tool. ArtRage Studio Pro – The people over at ArtRage designed this piece of software in order to solve a problem many artists had – working digitally was never as fluid as working on a real canvas. But Studio Pro has rectified the situation. RealDraw Pro – Although it has limited file compatibility, it is great if you need to work on your textures and patterns, a department in which it excels. This is a trick many architects actually use and there is no reason why you shouldn’t employ it yourself. Every now and then, along the process in your architectural plans, ask yourself – what if I…? What if I added a gazebo to the backyard garden? What if I added a doggie door? What if I turned the second guest bedroom into a nursery? This will unleash your creativity and allow you to really get to the desired results. The tip here is to never stick to the original plan like it was one of the ten commandments. Not being a professional architect or very experienced at designing and building houses, it’s virtually impossible to have gotten it right from the start. Allow room for changes and corrections. Here are 5 steps, along with some tips and tricks to help you design your very own architectural plans. It might be a daunting task, but keep in mind the reason why you decided to do it in the first place. It will save you a lot of money you would have otherwise invested in an architect’s services. Also, it will give you the amazing opportunity to truly build your dream home. Hey Buddy!, I found this information for you: "How to Create Your Own Architectural Plans". Here is the website link: https://www.explodedhome.com/create-your-own-architectural-plans/. Thank you.